Learn the basics of hand embroidery or refresh the skills grandma, mom or auntie taught you as a child. This design was inspired by a vintage French embroidery. The techniques learned will include transferring a design, hooping, stripping floss, and choosing the right needles and thread. 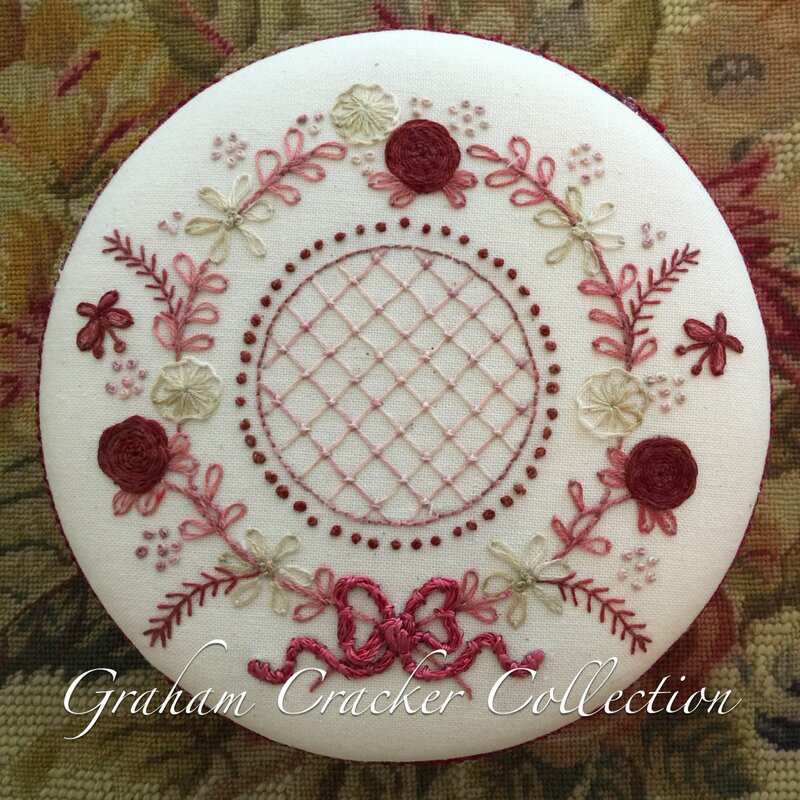 Stitches include Stem Stitch, Lazy Daisy, Fly Stitch, Colonial Knots, Couching, Buttonhole Wheel and a Spider Web Rose. This project makes a perfect topper for a stitching box, a pretty pincushion or pillow, a small, framed piece for a stitching friend, or even the center of pieced quilt blocks!